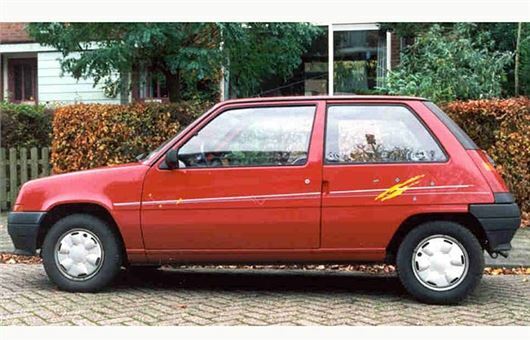 I have run a 1990 Renault 5 Campus from new: the typical one lady owner scenario. It has done under 45,000 miles and, apart from a little rust on the nearside back wheel arch, still looks good and, so far, has had no difficulty passing its MoT. Is it worth hanging on to, or is it time to let my reliable old friend go? I would appreciate another opinion apart from my husband’s who, I suspect, would like to see the back of it. If you like it and only use it locally, then no reason not to keep on running it until it (or its clutch) finally dies. It's worth almost nothing as a private sale or part-exchange. We have been having a battle with Jaguar for the last 8 months with regard to the fuel tank capacity being reported by the on-board computer in our F-Pace. With a full tank of 60 litres we should have a range of around 560 miles. However, the on-board computer reports a range of only approximately 460 miles. Jaguar has had the car in for nearly 10 days (the last time for a full week) and has come up with nothing. We have spoken to and emailed Jaguar head office, but all that happens is we get pushed back to "customer services" who promise to chase up the technical team, but just come back to say they can get no answers. We have asked for someone from the tech team to speak to us, but it appears they do not deign to speak to customers. We would have thought that after 8 months of a long running problem such as this it should have been escalated to someone in authority to at least contact the customer to explain what if anything that is being done. We have a theory and we have asked on multiple occasions for someone to let us know if it has been checked out but no one ever responds. We wonder if the basic program is based on litres and kilometres and for the UK market has to be converted to gallons and miles. There are approx 4.5461 litres to the gallon, but if this is mis-transposed as 5.4461 litres to the gallon you come back to almost exactly the 460 miles erroneous figure. Obviously this is a long-shot but why will no one talk to us after 8 months? Hope you can help because we are at the end of our tether. The Real MPG average of an F-Pace is 76% of its NEDC figure: 41.1mpg – 43mpg for the 2.0 litre diesels. Your expectation of 560 miles on a 13.2 litre thankful equates to 42.4mpg, so that’s reasonable. But the range computer works on the basis of how much fuel is being consumed at the time it makes its calculation. So if the car has just been started, or is running in heavy traffic, it will be consuming more fuel than when it has been cruising at the optimum speed and temperature for some time. What you should do is check the Real MPG of your car by brimming the tank and writing down the mileage. Then run the car to a quarter tank, re-fill it and write down the mileage again. Then multiply the litres by 0.22 and divide the mileage covered by the result. From that you can extrapolate the real range of the 60 litre tank. I have recently moved to the UK from New Zealand and bought a 2008 Ford Focus that had covered 88,200 miles. I purchased it on June 14th for £2,650 and have had nothing but problems. The first night I bought it the engine was misfiring and the engine light would flicker and then stay on permanently. The next morning it was towed back to the dealer where it stayed for 2 days, when they eventually told me the spark plugs and leads had been replaced. The day after getting it back I went to start it up and it would not start, instead bringing up a transmission malfunction message on the dash with no noise whatsoever. I let the car sit for a while and then it eventually started, so I wrongly assumed that it may have just had something to do with the repairs that the dealer had carried out, and would be a one time thing. At the end of July the car again refused to start, with the same warning message coming up. This was before work on a Monday morning, so I was understandably upset as I missed an important meeting. I called the dealer when I eventually got to work and he said he would pick the car up from me on Friday to have a look at it, and assured me it wouldn't be anything serious; maybe just a sensor connection. That evening it happened again as I tried to leave work, eventually starting half an hour later after numerous attempts. That night the car was again towed back to the dealer and, sure enough, the next day they had a look at it and were "unable to find anything wrong, maybe I just drove through a puddle". I was then asked to collect the car as everything was ok. Finally, today, once again going to work for an early morning meeting the same fault occurred. I am yet to contact the dealer as I am still deciding how I want to proceed. I want to ask for my money back as I feel the vehicle continues to be unfit for purpose, so I would appreciate your advice on what action to take next. When attempting to update the satnav mapping in my wife's 2014 Renault Clio I followed the instructions correctly. All went well (making a "footprint", etc) until the final stage of the operation when I inserted the USB into the unit and got the on-screen message "Update in progress. Do not remove USB or switch off the engine". The 'dashes' across the screen gradually started to illuminate until it got to the final one. After waiting 15 minutes for the operation to complete I gave up and turned the ignition off. Now, when the ignition is turned on and the car started the same message appears and remains there permanently. I have tried removing the fuse (as per hints on various on-line forums) to no effect. Any suggestions to resolve my problem would be most welcome. My Skoda Octavia 1.6 diesel automatic was called in on 7th July to have the remedial work required due to the VW diesel scandal. Since then the glow plug warning light has lit up on two separate occasions whilst driving. Both times after turning the engine off for some time the light came on at start up and then went off as normal. Could this have any connection with the recall work? I am reluctant to pay the expensive diagnostic check demanded by the garage if this is the case. with the increased soot created by the fix and your Skoda dealer knows this. He has to fix it and you do not have to pay anything. You should have received a letter from Skoda to this effect. My wife's manual BMW X1 1.6d SE is 3 years old but has only done 8,000 miles. We are potentially looking to change to an automatic diesel car. Would it be a good time to do so now, or would we be better to wait as diesel cars may become cheaper to buy given the controversy surrounding diesel engines. There is currently a glut of smaller-engined diesel cars that the manufacturers can’t shift without heavy discounting. But your 8,000 miles X1 diesel is also worth correspondingly less and anyway, if the car has only done 8,000 miles in 3 years you don't need a diesel. Completely wrong for the type of use to which you are putting it. A petrol engine makes far more sense. New diesel cars will not become cheaper in the future because they are more expensive to make than petrol cars and if demand for them wanes manufacturers will simply cut production of them. My Nissan Qashqai has keyless entry. I now read this system is vulnerable to car thieves with a 'gizmo' which 'bridges' the signals from the key, even though it’s 50 feet away inside my house. There seem to have been conflicting reports about 'Faraday' bags for protection, what, please, do you recommend? A static shielding bag may work, from around £3. A proper metallised shielding bag is much more expensive at around £90. What the scallywags do it boost the signal from your remote to the car so the car 'thinks' you are close to it (or in it), at which point it unlocks and can be started. If you're worried, put a Disklok over the steering wheel. I have a 2001 Toyota Yaris S 998cc car, which has done 65,000 miles. Recently, the Malfunction Indication lamp came on persistently and the garage diagnosed a faulty lambda sensor. This was re-set but, after a few miles, the light came on again. I told the garage to fit a new sensor, but after 20 miles the light came on again. Any ideas before I take it to the garage again? Possibly a failed catalytic converter. But a Yaris has more than one lambda sensor. The Yaris based Vios we bought in 2003 had three lambda sensors in the exhaust system. So the fault could be with another lambda sensor. I'll be 70 next year. As all pensioners would say, I still feel 18 in my head. I love my 2013 Fiesta Titanium, which I've had from new. The problem is me. I'm finding it increasingly difficult to get out of my lovely car due to arthritis. Can you suggest a similar car for me, which has a higher platform? I still love to drive, although I do far fewer miles than when I was working. A KIA Venga or a Hyundai ix20 (basically the same car). Ford offered the B-Max, which is a sort of Fiesta MPV, but it has had clutch problems and is being withdrawn from the Ford range next month. A few weeks ago I put 17 litres of unleaded in my VW Caddy diesel. I then continued to fill with diesel. I called the AA, who said it would not do any harm if I drove it, but I would probably come to a shuddering halt. I have since driven about 200 miles with no adverse effects apart from a very occasional pulling. Do you think I need to take any action? 17 litres of unleaded is a lot. You need to add lubricity enhancer to the tank (most diesel additives such as Wynns contain it). And you need to never run the tank below half full or you run the risk of introducing petrol to the high-pressure fuel pump and that will destroy it (assuming it is not damaged already). With luck, the petrol will float on top of the diesel until it eventually disperses, but that can take 2,000 miles. I've actually never heard of anyone getting clean away with 17 litres of petrol in a diesel tank, but if you've been okay so far you might be the first. The ggrrring noise might be the waterpump. Might be the timing chain tensioner. These engines have had a few problems with that. The whirring noise on start up might be the alternator or might be the X-tronic CVT transmission. The under-engine-compartment plastic floor tray of my year 2000 SEAT Leon 1.9TDI has broken off again, after being scraped on a speed hump. None of my previous cars have had this feature. Is it really necessary? First report of this on Leons. (And I actually owned a 2000X 20VT Sport for a year). But the Golf V on which the Leon was based was notorious for a low sump and low engine undertray. I'd try to replace it. Lack of it will affect the aerodynamics and fuel economy slightly, and will mean a dirtier engine from road muck splashed up into the engine. I guess this was a 'speed cushion' and you straddled it. Not a good idea anyway because straddling these infernal things rips the inner shoulders of your tyres to shreds and, because this is unseen damage, it can result in a blowout at speed later on. I’d be grateful for your thoughts on tyre choice. Firstly, my wife has a Toyota Aygo and each year we switch Summer to Winter Tyres. I now need to purchase her a full set of Summers and I’m aware that she will need two Winters as well when the time comes. Though we live in the ‘warmer’ South and the past two winters have been relatively mild, we are in a village, so it is reassuring to have a car with winter tread. Would you suggest that I stick with the current arrangement or go ‘all-season’ and put on a set of Goodyear Vector 4 Seasons Gen 2? (Michelin Cross Climates not made in 165/65 R14.) My worry with this route is according to Auto Express, the dry braking isn’t brilliant. I’m also within a few months of having to change the full set on my Focus 2010 1.8 petrol and as I have to do the school run, whatever the weather, I’m definitely looking to switch to all-season tyres. The question is, Michelin Cross Climates, which I know you rate, or again the Goodyear Vector’s. Both tyres appear to be well reviewed by purchasers, but I lean towards the Michelin’s; however the Auto Express 2016 All-Season test worries me in that the Michelin performed relatively badly in the curved aqua plane test. Would you go for the Michelin as it is by far the best Summer tyre with winter capability? For the Aygo, I'd go for the Goodyear Vector 4 Seasons Gen II all round. Have the cold pressures at the lower end. Then you'll get better ride, better steering feel, less noise (and probably better dry braking). For your Focus I'd go with the Michelins. Remember, most magazine tyre tests are hosted by tyre manufacturers who like to show their competitor’s tyres at a disadvantage. Even though the magazine is allowed its opinions, these are not wholly independent tests. I ran an HR-V on Cross Climates for 12,000 miles and they were brilliant. Significantly improved the car. I find some of these readers letters the stuff of much amusement. This weeks winner is surely the people with the F Pace. So engrossed by the tech on their car, they cannot understand why the board computer shows a full tank range of 460 miles as opposed to the supposed 560 miles range. Here's a tip, drive the car on long journeys and you'll be amazed to find that the displayed range will increase and, you probably get near 560 miles (if you havent got a heavy right foot!). Whilst I can understand that a user may not realise that the read out is 'at that instant' its disappointing that the garage/seller was unable to communicate this to the user, and rather than explain has simply fobbed the user off. But then perhaps 'customer service' had no understanding either. I agree re the Renault 5. People are taking more of an interest in cars from that era that seem to have a good history. What worries me though, is that the lady (or her husband) may well be tempted to fall for one of the many scrappage "deals" doing the rounds. And that would probably be a real shame. I suspect that the F-Pace spent its holidays at the dealers quietly parked up in a corner while the staff had a laugh. However, neither they nor anyone else has mentioned the obvious. Many manufacturers program the range calculation to allow for a reserve of fuel so that you don't run the tank dry. Mazda, for example, seem to be particularly cautious and at one time forums were full of discussions on this.